Do you have a loved one that’s being held in an Appomattox jail? Bonds can be a pricey and unexpected expense. If you find yourself facing an expensive bond, turn to Affordable Bail Bonding. 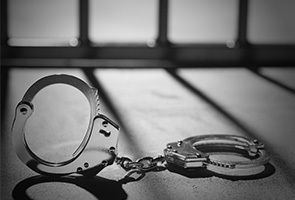 Our professional bondsmen will come straight to the jail where you or a loved one are being held to offer bail. It doesn’t matter what brought you to jail. When you give Affordable Bail Bonding a call, you’ll receive a no judgment service with affordable bail bonds. If you call other competing bail bond companies, you’ll be charged for a walking fee. But we won’t. With only a tenth bond paid, you can get out of jail the same day. No matter if bail is full or partial, most charges can put a huge dent into your finances. If it’s too expensive, we provide financing that lets you make installments on the initial down payment or pay the whole bond. No matter your financial situation, Affordable Bail Bonding will make it work. The size of your bond or your financial history could change your rates, but we’ll work to make the best rates possible. Count on our professionals to be reliable, friendly and discreet. To leave jail immediately, you’ll only need to provide 10 percent of your bail. If you have a bond that’s $5,000 in total, all you’ll need is $500. If the money isn’t available, we’ll create a payment plan. This lets you leave jail and create a payment plan from there. All we need is your guarantee that you’ll attend your trail and remain accountable for the rest of your bail money. There are a number of different reasons police will arrest people. However, when it comes down to it, there is one very important thing that people who have been arrested have in common and that is that they did not plan on being locked up. If you are arrested in Appomattox, VA, your first thought is likely going to be how long you have to remain your cell before you are released. Whether you have the money to cover the cost of your bail or not, your best bet is likely to hire the team at Affordable Bail Bonding to assist you. Continue reading below to learn why. At our bail bond agency, we are aware that the arrest of a family member or friend can be extremely stressful. As such, we want to try and make the process as painless as possible and ensure that securing the money for the person’s bail is as simple as it can be. Not only will one of our bondsmen explain the entire bail bond process to you in great detail when you contact us, but we will also do everything we can to keep you updated as the paperwork is gathered, filled out, and submitted so that you know when your loved one will be released from jail. At Affordable Bail Bonding, we offer those in Appomattox, VA, with 24 hour assistance, seven days a week. We always want you to feel as though you have options, especially while you are sitting in a jail cell. If you or someone you love is in need of the assistance of an experienced bondsman, do not hesitate to call us right now! We would be happy to help you as soon as possible! We’re ready to get you out of jail. Whether it’s for you, a loved one or a friend, we’ll quickly and discreetly offer you affordable bail bonds. Complete the form above to send a bail request today.